The homepage of his website says: “If You Like O You You’re Gonna Love P” and I truly do. Philippe is a wonderful, caring person. Considered the Oprah of the Internet, Philippe Matthews is the owner of the PM Show and PM Blog Radio Talk Show, Internet entrepreneur and a Philanthropist. He is the Author of: “SHOCKPhilosophy” book on mindset for massive manifestation, “Developing the Mindset to Be Rich Before Becoming Rich” and “How To Make Millions When Thousands Have Been Laid Off” books. Philippe Matthews on all of his T.V. and radio shows features Bestselling Authors, Thought Leaders, Change Agents, Entertainers and World Class Experts in Personal, Spiritual and Professional Development such as Marianne Williamson, Dr. Wayne Dyer and Dr. Deepak Chopra. Best selling Financial Authors Robert T. Kiyosaki, Robert G. Allen and Suze Orman. Media and motivation moguls such as, Stedman Graham, Russell Simmons, Zig Ziglar and countless more! I feel so fortunate to have been interviewed on his blogtalkradio and to be part of his Internet family of many respectful, well-known people. The interview was a pleasant casual encounter between Philippe and myself as if we were in his living room talking about my experience of coming to America and make a 365 degree life adjustment. Philippe doesn’t ask questions that are different, he asks questions that make a difference. In this interview I wanted to be an inspiration to young adults and to people who feel lost in the unfriendly economy we are currently living. Philippe touched on many points one of which was spirituality and business. I am in a design service business and a tough one! I must sell my ideas, which are real to me, but intangible to my clients. I sell my services and my ideas without being salesy, with love, friendliness and a lot of humor, never as a pushy salesperson. I never forget to be grateful to my Supreme Being for what I have, for all the great people I meet everyday and for the opportunities I can create just by asking the Universe. In fact, I made a joke that I have a direct line with my Supreme Being and when I want something it is easy enough to dial number one on my real telephone. There is always that “Someone”, that “Presence” next to me ready to listen and never feel alone in this world, even though, I crossed the ocean by myself to set up a new life in America. To have a spiritual guidance is very important, but to have a mentoring guide is equally important. I really never knew what mentoring was, other than having my parents as a guide and teachers. But when I arrived in America, I discovered a whole new way of thinking and it felt as if everyone I met had something more interesting to say than the person before. I followed very famous people, read their autobiography, their successes or non-successes, tried to understand their motivations and I stored the best examples they had to give. Daydreaming was another point of my interview with Philippe. I had a vision of becoming an artist since a tender age, but it wasn’t well taken in my Italian family. I left my doors opened to all kinds of opportunities and when the time came, I took actions. No dream will ever come alive and take shape without actions! It is has been a fun journey ever since I started daydreaming, a journey that will continue as long as I can with fun, humor and more opportunities. In my design business, I don’t know when I stop having fun and when my work starts. That to me is success! I also have a column on ThePMShow website under the title: The Good Life, from which I publish my thoughts once a month. 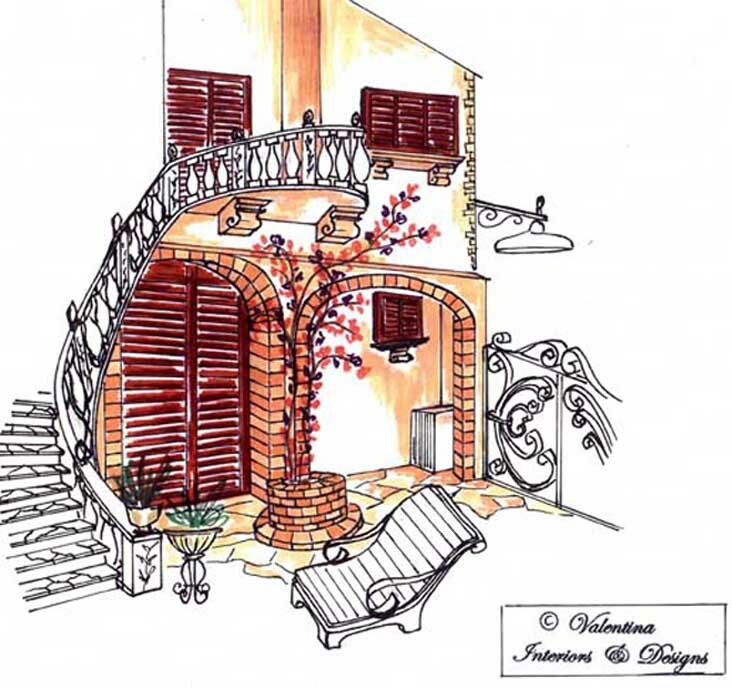 Valentina Cirasola is the principal designer and owner of Valentina Interiors & Designs. 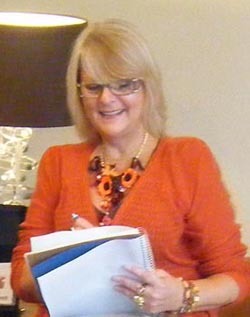 She is a trained designer and has been in business since 1990. She works on consultation and produces design concepts for remodeling, upgrading, new homes, décor restyling and home fashion. “Vogue Italy” magazine and many prominent publications in California featured Valentina’s work. She has made four appearances on T.V. Comcast Channel 15.